Combine the flour, PURYA! 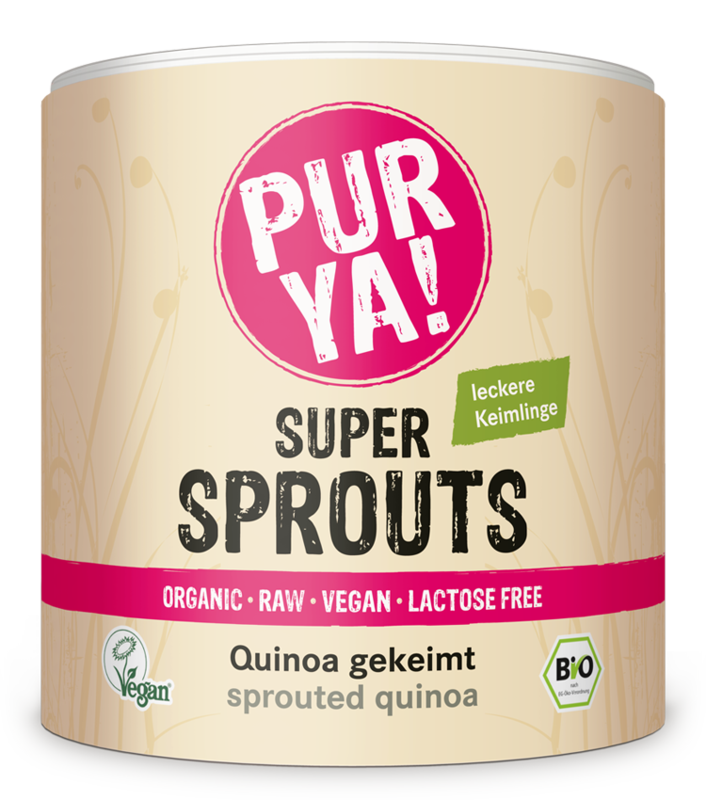 sprouted quinoa, baking powder, salt and sugar. Add the olive oil and water and combine until smooth. Let the dough rest for 40 minutes. In the meantime, peel the garlic and place it in a blender together with the cashews, water and lemon juice. Blend until creamy. Season with salt, pepper and cayenne pepper. Set the oven to 80°C. Divide the dough into 4 pieces. Lightly flour a work surface. Roll each piece of dough into a very thin circle. Heat a coated 28 cm frying pan WITHOUT oil and fry each wrap until golden brown – approximately 2 minutes per side. Keep warm in the preheated oven. Wash the shallots, carrots, cucumber, zucchini and snow peas and cut into 3 cm long strips. Wash and halve the cherry tomatoes. Wash, dry and finely chop the mint. Heat the oil in a coated pan and quickly sauté the vegetables, add the mint and agave syrup. 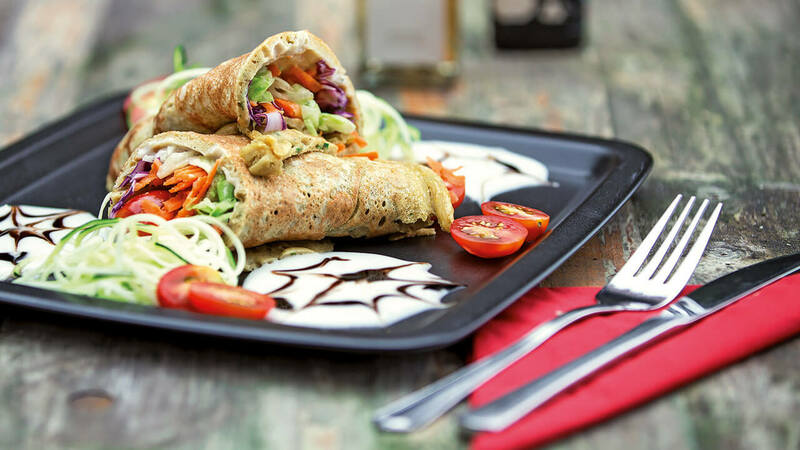 Spread wraps with the cashew cream, top with the vegetables, fold and serve.